Yes Brewing officially came into existence on July 1st, 2017, but the inspiration for the brewery came much earlier. Head Brewer John “Bigs” Bigelow, an avid home brewer for nearly two decades, had a lifelong goal of owning and operating his own brewery. While experimenting in his garage, he stumbled onto a slew of unique, alternative recipes that he felt the world needed to try. Some early highlights included a Mint IPA (now known as “Yes PLZ”), Jalapeno Pale Ale that wasn’t that spicy (“Fear Not”), a dry-hopped kettlesour (“Neon Cowboy”), and many, many others. With hundreds of total recipes and concepts, Bigs was ready to take the next step. Brothers Brady and Troy Frost came into the fold in fall of 2016. Upon meeting with John (and drinking a lot of beer), they agreed that his recipes and brewing style were unique. After a bit of research (and more beer), they decided to team up with John, hoping to make his dream a reality. 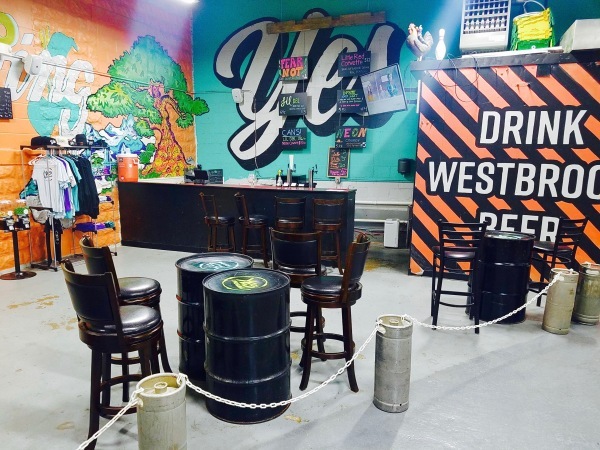 With their ownership group intact, the name “Yes Brewing” was attached as a placeholder, but ended up sticking once they realized the name had never been federally trademarked (“Yes!”). Equipped with an 80s/90s aesthetic, and after a year of renovations, negotiations, and licensing requirements, a minimally self-funded brewery was born in Westbrook, Maine. As Yes Brewing grows, the company is committed to retaining its initial passion towards making experimental, challenging beer. In year one, over 30 different beer varieties were released. In the coming years, Yes Brewing will be focusing on sours, barrel aging, koelschip beers, new recipes and adjunct variations, and collaborations. The loyal customers of Yes Brewing enable them to keep striving to create new and interesting things, hopefully for many years to come.